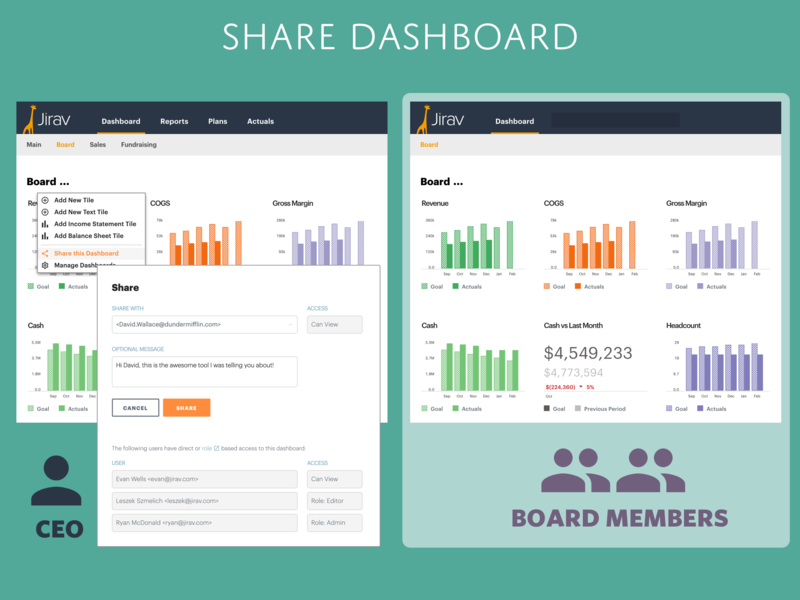 Jirav helps you create beautiful dashboards in minutes letting you tailor your story to your audience. We already had role-based sharing and we just added direct sharing making it even easier to keep everyone on the same page. 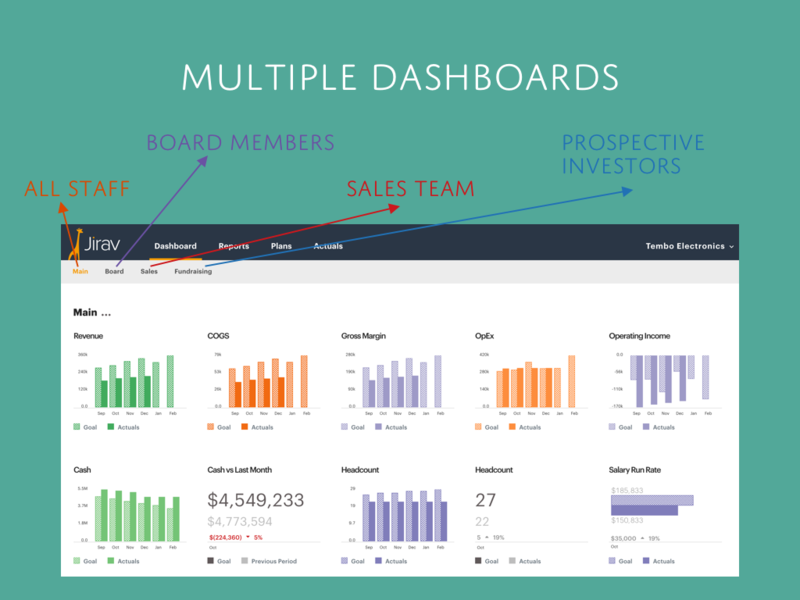 In the example above the CEO is sharing the Board dashboard with her board members. She can also see the other dashboards, all the reports and also all the plans, forecasts and scenarios that have been used to power this dashboard. But all that complexity is removed when the board members sign in - they see just the single dashboard shared with them, nothing else. Combined with the multiple dashboards feature, this is how Jirav helps close the gap and reduce friction between the different stakeholders in a business.